Cryptocurrency exchange sites present unique opportunities for the growth of cryptocurrencies and tokenized assets. They are one of the reasons why the support community has grown so large, – this is revealed by the 12-digit market capitalization. These exchange platforms have profound influences on the way crypto objects are qualified. However, this eventful evolution and growth of cryptocurrencies are not without their internal challenges when it comes to centralized exchanges. DEEX is set to change the way exchange platforms work through trustless, reliable and sustainable exchange services. 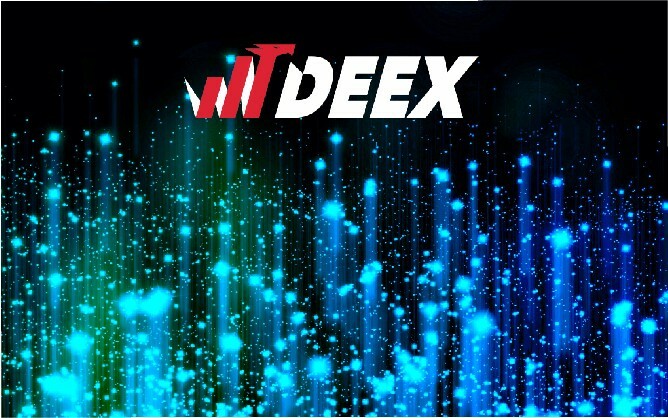 The DEEX platform is going to be a decentralized exchange platform for cryptocurrencies incorporated with fiat payment gateways native to the buyer’s region. By their assessment, cryptocurrencies have seen a sharp upsurge in their relevance and continue to show consistent growth on a global scale and have so far, stood the test of time spanning a period of over 7 years (since the beginning with bitcoin); therefore, are here to stay. The basic functionalities expected from the platform is derived from the Bitshares 2.0 model. The major features will essentially include but not limited to: decentralized governance of the platform and one that rewards the users of the platform, delegated proof of stake consensus (DPoS), an ICO creation mechanism, reliable escrow systems, and other financial instruments to be included in the future such as DEEX.CORE, DEEX.ICO, DEEX.FUND. They have completed their presale raising up to $2.5 million USD (an equivalent of 3,410.44 ETH) out of a target of $3 million USD. At a base rate of $0.1 USD per token, they will conduct the main sale in multiple stages from January 10th, 2018 to February 28th, 2018. ETH, ETC, BITSHARES, BITCOIN and DASH coins are expected donation cryptocurrencies. The first stage of business development will connected with the creation of reliable, convenient and multifunctional decentralized cryptocurrencies exchange based on the BitShares 2.0 platform with the integration of full functionality of the best DEX exchanges. In the beginning of the ICO the DEEX’ MVP is already being tested (the MVP presentation was in Skolkovo in December 2017) and small trades are being held already.  Creation of the own agent network of crypto ATMs for the purchase and sale of cryptocurrency for fiat money with the ability to work with bank cards.  own hardware crypto wallet for cold storage of cryptocurrencies and tokens.